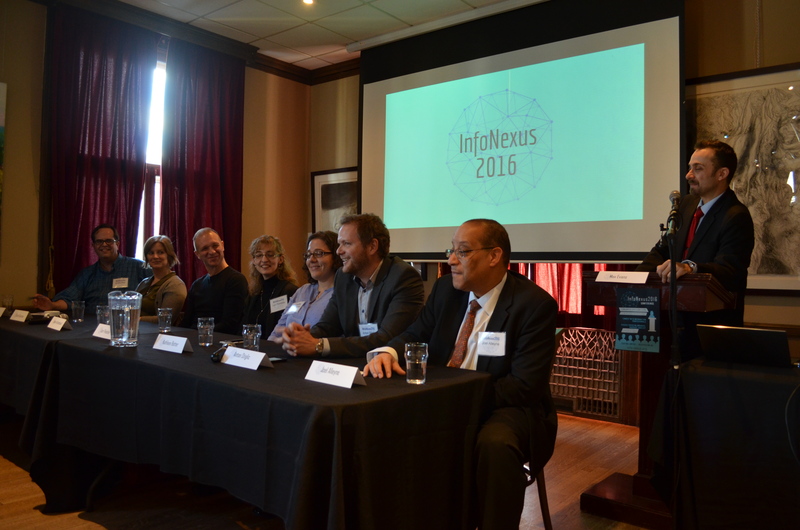 On February 6th, InfoNexus 2016 opened its doors at Thompson House for a one-day whirlwind tour through a variety of different topics. Speakers from all four areas – libraries, archives, knowledge management and information technology – gave short presentations about their research or ideas they had been working on. 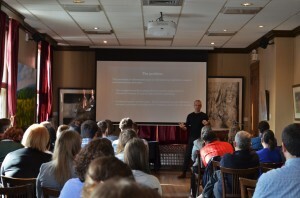 The topics were disparate, but it highlighted the incredibly wide range of work that information professionals work in and provided lots of food for thought. 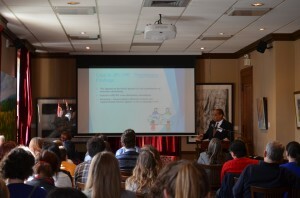 Ed Bilodeau, President of the SLA Eastern Canada Chapter and Assistant Librarian at McGill University Digital Initiatives started out the day with a talk about excellence in librarianship, and how to balance this goal with the ever-growing workload that librarians are dealing with. The next speaker was Sarah Severson, Coordinator of Digital Library Services at McGill University Library, who took the audience through a history of digital collections using examples from McGill’s own collections. 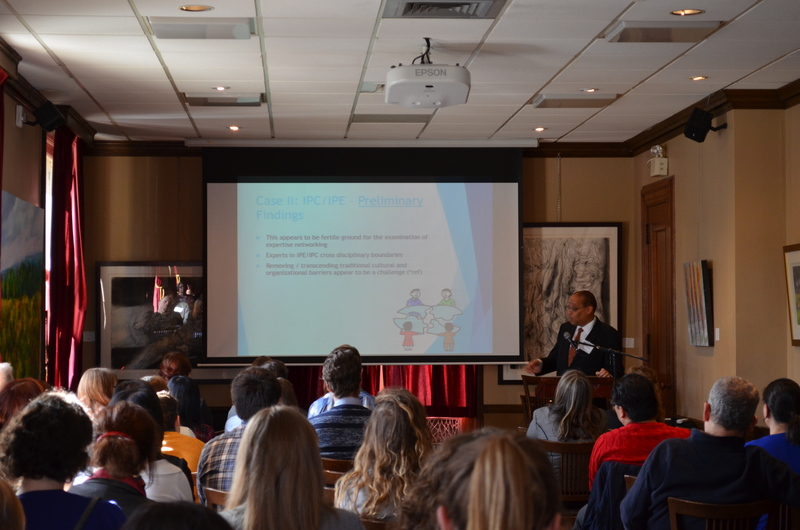 After that, Jean Archambault, Director of Information and Analysis Services at NRC Knowledge Management, started a lively discussion about how the concepts of uncertainty and anticipation affect the provision of information, and what this might mean for information professionals. Next, Lori Podolsky, Acting University Archivist at McGill University Archives, gave a thought-provoking talk about how archivists have presented their profession in the past, and how these ideas and perceptions are changing today. The final speaker of the morning session was Joel Alleyne, President of Alleyne Inc., who moved the focus over to the world of Knowledge Management. He talked about knowledge networks and the concept of expertise, and drew upon his experiences in the realm of law and health sciences. After lunch, there were two more speakers who presented. Kathleen Botter, Systems Librarian at Concordia University Library, dove into the world of reference rot, which is what happens when links in electronic resources stop working properly. It was a fascinating presentation about an area of librarianship I had never even considered. 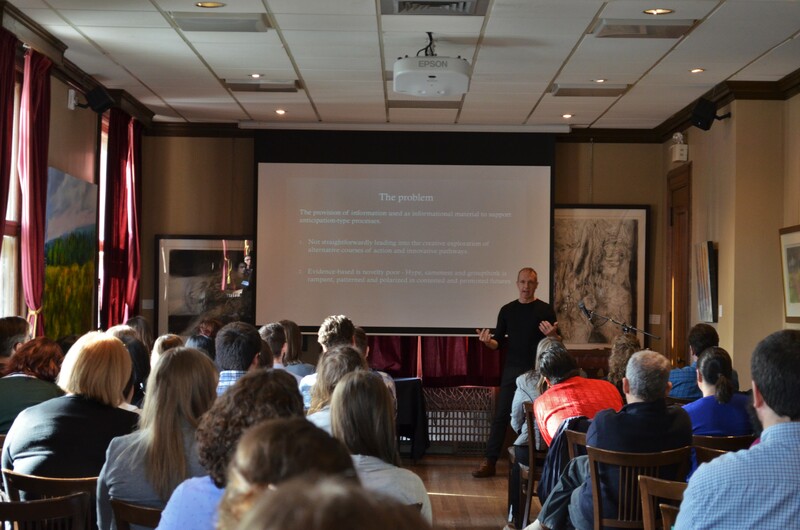 Finally, Anton Stiglic, Corporate Director Information Security (CISO) at Loto-Quebec, gave a revealing presentation about information security, going into how and why hackers steal information, what they do with it afterwards, and how companies can protect themselves. After the individual presentations concluded, there was a panel session featuring all of the previous speakers and moderated by Professor Max Evans. This was an opportunity to delve further into some questions that affect all information professionals, and also a time for the audience to ask questions. As a first year MISt student, it was my first time attending the InfoNexus conference, and I very much enjoyed the variety of speakers and the thought-provoking topics they brought up. A huge thank-you to the organization committee for putting it all together, and I look forward to experiencing the 2017 edition of InfoNexus! Many thanks to Kayleigh Girard for helping with this write-up and to Annette Li for all the lovely photos. 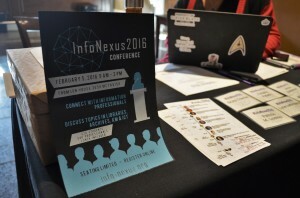 More information about InfoNexus can be found at http://info-nexus.org/. Published by devonlemire on February 25, 2016 at 3:57 pm under Uncategorized.